Chairman Towns, Ranking Member Bilbray, and Members of the Subcommittee, thank you for the opportunity to appear before the Subcommittee today to testify on two draft legislative proposals related to tax collection. The matters being considered are important to our system of tax administration. The policies embodied in them have the potential of affecting efforts to increase voluntary compliance as well as enforced revenue collection. At the outset, I must note that the Secretary of the Treasury has delegated to the Assistant Secretary for Tax Policy exclusive authority to determine the Department’s position on all tax policy matters. As Inspector General for Tax Administration (TIGTA), I am authorized under the Inspector General Act to review proposed legislation relating to Internal Revenue Service (IRS) programs and operations. My comments today, therefore, address prospectively the potential impact on IRS’ tax administration efforts of the proposals the Subcommittee is considering. I have based my observations on TIGTA’s prior reviews in somewhat analogous circumstances. The draft Contractor Tax Enforcement Act would effectively make any person with an outstanding Federal tax debt ineligible to enter into a contract with or to receive a loan from a Federal agency. The legislation would also authorize the Secretary of the Treasury to disclose to the head of a Federal agency information about whether a prospective contractor or a loan applicant has a delinquent outstanding debt under the Internal Revenue Code (I.R.C.). FY 2008 budget request for the IRS. DOD contract awards accounted for nearly two-thirds of the Federal Government’s contracting activity in FY 2002. The sheer dollar value of Federal contracts makes contractor compliance with Federal tax obligations a serious matter. There is significant room for improvement with contractor tax compliance. In 2004, the Government Accountability Office (GAO) reported that DOD and IRS records indicated that over 27,000 DOD contractors had nearly $3 billion in unpaid Federal taxes as of September 30, 2002. Of that debt, 78 percent was more than a year old. Among those contractors, over 25,600 were businesses that primarily owed unpaid payroll taxes. The GAO also estimated that the DOD, which functions as its own disbursing agent, could have offset payments and collected at least $100 million in unpaid taxes in FY 2002 if it had worked with the IRS to effectively levy contractor payments. The GAO further noted that its review of IRS collection efforts against DOD contractors selected by the IRS for audit and investigation indicated that the IRS attempted to work with the businesses and individuals to achieve voluntary compliance, pursuing enforcement actions such as levies of Federal contract payments later rather than earlier in the collection process. This resulted in many businesses and individuals continuing to receive Federal contract payments without making any payments on their unpaid Federal taxes. In February 2006, the IRS estimated that, based on tax year 2001 data, the annual gross tax gap due to underpayment of tax obligations is $33.5 billion. Collecting additional taxes owed from potential Federal contractors could provide another means for helping to reduce the annual tax gap attributable to underpayment of Federal tax obligations. This compliance check would reduce opportunities for Federal contractors to avoid paying their tax obligations and would also support the Secretary of the Treasury’s comprehensive strategy for reducing the tax gap. Federal Government contractors receive an estimated $377.5 billion in Federal dollars annually. For some, these Federal contracts represent a considerable share of their gross revenue. It is for Congress and the Department of the Treasury to consider whether, as a policy matter, contractor eligibility should include tax compliance requirements. 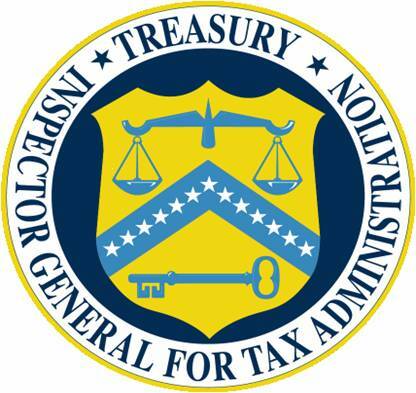 TIGTA has not performed work directly on this matter; however, from our limited reviews of such requirements and their implementation in other contexts, we would anticipate that the impact on the IRS’ other tax administration efforts would be fairly minimal if the proposed requirement is implemented in a manner similar to current practice regarding electronic return originators (EROs). For example, the IRS’ electronic filing (e-file) program offers taxpayers an alternative to filing a traditional paper tax return. The e-file program enables tax returns to be sent to the IRS in an electronic format via an authorized IRS e-file provider known as an Electronic Return Originator (ERO). An ERO is the first point of contact for most taxpayers filing a tax return through the IRS’ e-file program. An ERO originates the electronic submission of a return to the IRS. The IRS is responsible for reviewing applications from individuals applying to participate in the e-file Program, as well as ensuring that the individuals who have been authorized to participate maintain a high degree of integrity and adhere to the highest professional and ethical standards. An applicant must be a United States citizen or legal resident alien. An applicant must be 21 years of age as of the date of the application. An applicant must pass a criminal background check. A determination must be made as to whether individual and business tax returns were filed and taxes owed were paid. EROs do not receive compensation from the Federal Government for submitting tax returns electronically to the IRS. Legislation to amend title 31 of the United States Code to test the feasibility and potential for collecting certain local tax debts has the potential to assist local governments with their collection efforts. Experience at the Federal level has demonstrated that such a program has significant collection potential. I.R.C. §§ 6402(c) and (d) require a taxpayer’s overpayment to be applied to any outstanding non-tax child support or Federal agency debt prior to crediting an overpayment to a future tax or to issuing a refund. However, a tax overpayment must be offset to an outstanding tax debt before it may be offset to non-tax debts or applied as a credit to a future tax period. The IRS has facilitated these offsets since 1984. The Debt Collection Improvement Act (DCIA) of 1996 authorized the Department of the Treasury’s Financial Management Service (FMS) to combine the IRS’ Tax Refund Offset Program, which offset IRS refunds to outstanding debts, with the Treasury Offset Program (TOP). Effective January 11, 1999, FMS began initiating refund offsets to outstanding child support or Federal agency debts. These offsets are referred to as TOP offsets. A TOP offset reduces the amount of an IRS refund by the amount of the debt. FMS established the TOP, a computer matching program, to carry out its responsibilities under the DCIA to collect Federal debt. The TOP compares the names and taxpayer identification numbers (TINs) of debtors with the names and TINs of recipients of Federal payments. If there is a match, the Federal payment is reduced (levied) to satisfy the overdue debt. FMS issues refunds for the IRS. A TOP offset occurs after the IRS has certified a refund to FMS for payment but before the FMS direct deposits or mails the refund check. The amount of a refund certified by the IRS to FMS for payment may not necessarily be the amount that is issued by FMS to the taxpayer. The taxpayer may receive less of a refund or none at all if the whole amount is offset. FMS will issue a TOP offset notice to a taxpayer when a refund is reduced. If the refund is offset in part, the notice is issued at the time the remainder of the refund is direct deposited or is sent as an attachment with the paper check. If the refund is offset in full, a separate notice is sent within the same time frames. The notice informs the taxpayer of the amount of the offset, the agency(s) receiving the offset, and the agency’s address and telephone number. According to FMS, for FY 2005, payment types subject to offset included Office of Personnel Management retirement payments, IRS tax refunds, some vendor payments (Treasury disbursed and non-Treasury disbursed payments), Federal employee travel payments, some Federal salary payments, and Social Security benefit payments. Offset of Federal tax refunds for State income tax debts began in January 2000 when FMS started collecting State income tax debts by offsetting Federal income tax refunds, as authorized by the Internal Revenue Service Restructuring and Reform Act of 1998. As of September 30, 2005, the TOP database contained $255.5 billion in delinquent receivables. The largest component of TOP's delinquent debtor database was the $129.5 billion in Federal income tax debts submitted for continuous tax levy. FY 2005, total collections through the TOP were $3.1 billion. Total tax refund offset collections for child support debts, Federal non-tax debts and State income tax debts totaled $2.8 billion, accounting for 90 percent of the TOP’s collections. Child support collections in FY 2005 totaled $1.58 billion, which was an increase of $96 million over FY 2004 collections. Also in FY 2005, total collections of State income tax debts by offsetting Federal tax refunds totaled $232 million, an increase of $14 million over the $218 million collected in FY 2004. Given the nature of the proposal under consideration to allow certain local tax debt to be collected through the reduction of Federal tax refunds, it is unlikely that enactment of the proposal would affect the IRS or Federal tax administration. The proposal would establish a pilot program for collecting past-due, legally enforceable local government obligations. If current practice in analogous circumstances is an accurate indication, it is likely that the proposed pilot program would operate through the TOP and therefore affect the FMS but not the IRS. The pilot program would require eligible States to notify the Secretary of the Treasury on behalf of a local government, under conditions prescribed by the Secretary, of individuals who owe past-due, legally enforceable tax obligations to the local government. If the Secretary of the Treasury finds that any such amount is payable, the Secretary may reduce the amount of a Federal tax refund by an amount equal to the debt owed to the local government. The Secretary would be authorized to pay the amount of the refund offset to the State and the State would pay the local government. It is also likely that the FMS would notify the taxpayer that a Federal tax refund has been reduced by an amount necessary to satisfy a past-due, legally enforceable tax obligation to the local government. I hope my discussion of these two legislative proposals will assist you with your consideration of them. Mr. Chairman and Members of the Subcommittee, thank you for the opportunity to provide background information for your consideration in evaluating these proposed measures. I would be pleased to answer any questions you may have at the appropriate time. FINANCIAL MANAGEMENT: Some DOD Contractors Abuse the Federal Tax system with Little Consequence (GAO-04-95, dated February 2004). A Comprehensive Strategy for Reducing the Tax Gap (U.S. Department of the Treasury – Office of Tax Policy, dated September 26, 2006). Debt Collection Improvement Act of 1996, Pub. L. No. 104-134, 110 Stat. 1321-358 (2006). Section 3711 of the Internal Revenue Service Restructuring and Reform Act of 1998 (RRA 98), Pub. L. No. 105-206, 112 Stat. 685.